Piano/Vocal/Chords. This edition: Piano/Vocal/Chords. P/V/C Mixed Folio; Piano/Vocal/Chords. The Complete Collection Series. Sacred. Songbook. With vocal melody, piano accompaniment, lyrics, chord names and guitar chord diagrams. 264 pages. Alfred Music #00-F3350SMD. Published by Alfred Music (AP.F3350SMD). ISBN 0757924824. 9x12 inches. English. 128 favorite popular and traditional Christmas songs in one beautiful collection. Titles include Christmas Eve in My Home Town, God Rest Ye Merry, Gentlemen, Winter Wonderland and more. Seventh chords and melodies in both hands. More difficult note reading with ledger lines above and below the staff. This is an okay book, but not special to me as I am an older pianist. 1 people found this review not helpful. Nice collection of Christmas songs for the intermediate player who wants to sit down and play without having to spend a lot of time practicing. The book is sturdy, much better than books I've had over the years. which contains these pieces. It also contains the more traditional pieces. The arrangements are true and well arranged. The SMP rating appears accurate. Some of the pieces have a voice line above the piano lines, which is difficult for me to just focus on the two piano lines which are harder at my level, but not all the pieces have this. Highly recommend if you are looking for a varied collection of christmas music which contains both traditional and popular music, with good arrangements, at an early-intermediate to intermediate level. 32 of 44 people found this review helpful. This book has a nice variety of secular and sacred songs. There are quite a few songs in here I'm not familiar with, as well. The arrangements are traditional and easily recognizable. 35 of 70 people found this review helpful. A very good book - relatively easy to read and play. Friends will enjoy singing along. 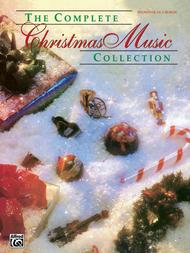 Some popular Christmas music is missing, and I haven't heard all the songs in this book This is a great addition to my Christmas music collection. 58 of 106 people found this review helpful.